The favorite Valentine's package, our Pamper Me Package, will make your special someone feel truly appreciated. Upon entering your luxurious guest room or suite you'll find a dozen beautiful red roses, a chilled bottle of Champagne with two champagne flutes, a dozen chocolate covered strawberries, and four candles all placed to create a romantic mood. Just check-in on February 9th or 16th and stay at least 2 nights to receive these pampering package gifts. *Book the "Pamper Me Package" directly with Music Road Resort to receive the extras either by booking on this website or by calling and speaking with one of our reservation agents. Reservations must be made at least 48 hours prior to arrival day to guarantee availability of roses and strawberries. With an advanced request, we can replace the champagne with non-alcoholic sparkling cider. Cannot be combined with other deals or discounts. No refunds will be issued for early departures. The gorgeous views of the Great Smoky Mountains make for an ideal romantic getaway. 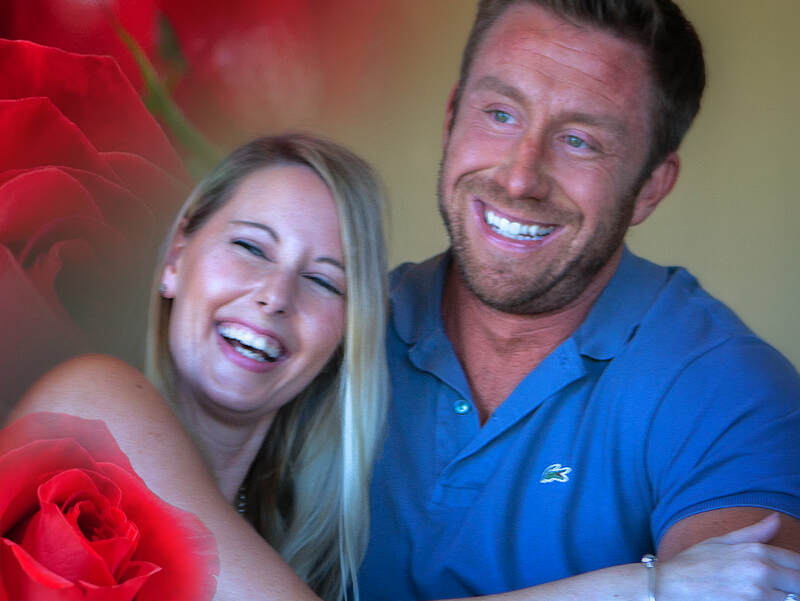 With this package, check-in on February 9th or 16th, stay at least 2 nights and you'll have a dozen beautiful red roses in a lovely vase waiting in your room before you arrive. 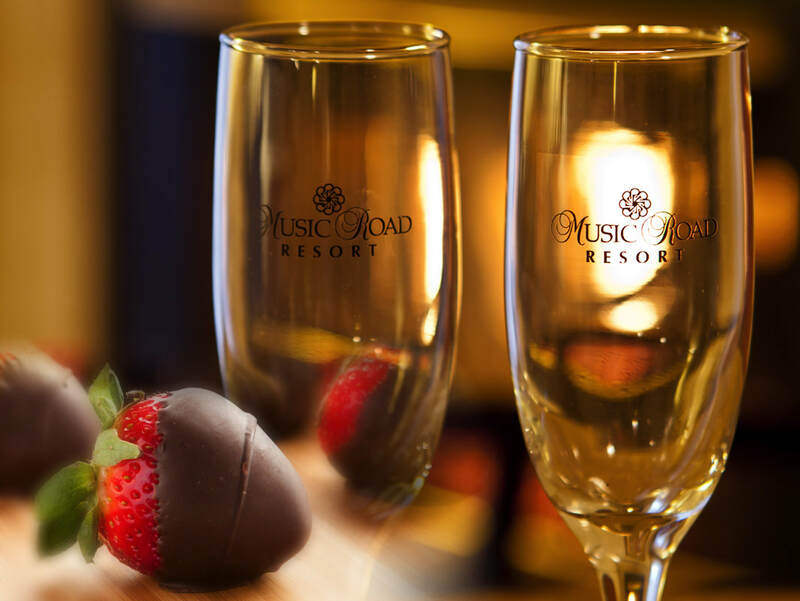 *Book the "Romantic Getaway Package" directly with Music Road Resort to receive the roses either by booking on this website or by calling and speaking with one of our reservation agents. Reservations must be made at least 48 hours prior to arrival day to guarantee availability of roses. Cannot be combined with other deals or discounts. No refunds will be issued for early departures. Spoil your special someone this Valentine's Day with our Sweet Treat Package! Receive a complimentary bottle of Champagne, two elegant champagne flutes, and a dozen chocolate covered strawberries delivered to your room before you arrive. Just check-in on either February 9th or 16th and stay at least 2 nights to receive these delicious sweet treats. *Book the "Sweet Treats Package" directly with Music Road Resort to receive the extras either by booking on this website or by calling and speaking with one of our reservation agents. Reservations must be made at least 48 hours prior to arrival day to guarantee availability of strawberries. We can offer a non-alcoholic sparkling cider alternative if requested in advance. Cannot be combined with other deals or discounts. No refunds will be issued for early departures. 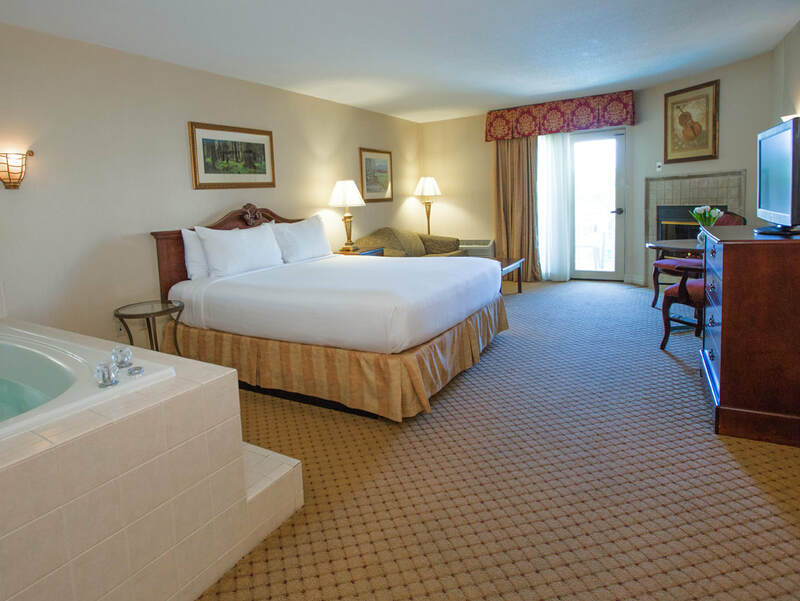 *Book the February King Suite Package directly with Music Road Resort to receive the gift card or movie tickets. This offer is valid February 2018, some black-out dates may apply. This offer cannot be combined with other deals or discounts. The price of this package is based on room type selected. This offer excludes the Executive and Honeymoon Suites, and the Penthouse. Space is limited and subject to availability. No refunds will be issued for early departures with this package. Gift cards and tickets cannot be replaced if lost or stolen, and are not redeemable for cash.